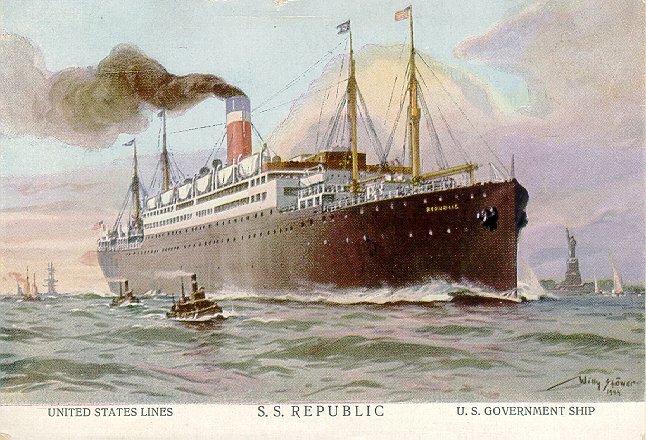 Initially named Servian, this ship was built by Harland & Wolff of Belfast and was intended for Wilson's & Furness-Leyland Line's planned London-Boston service. In 1901, however, Wilson's & Furness-Leyland was bought by International Navigation Co., which also acquired Frederick Leyland & Co. at about the same time. Since Frederick Leyland already served the Boston market, Wilson's & Furness-Leyland's Boston service never came about and the order for Servian (and her sister, Scotian) was canceled before launching. 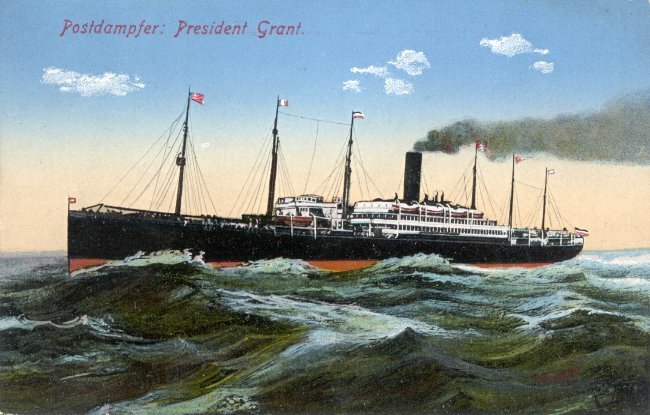 So, after she was launched in February 1903, the ship was laid up, unfinished, until purchased by the Hamburg American Line (Hapag) in 1906. 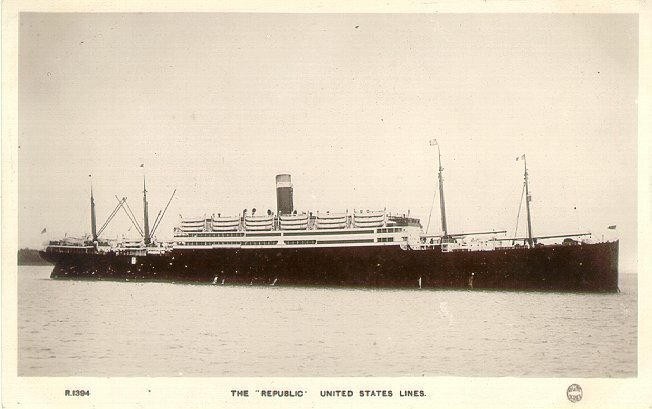 Republic made her first United States Lines voyage, from New York to Bremen, on 29 April 1924, and remained in service until 1931. She then became a War Department troopship in the Pacific (1931-41), Navy troopship AP 33 (1941-45), an Army hospital ship (1945-46), and a troop repatriation ship (1946). 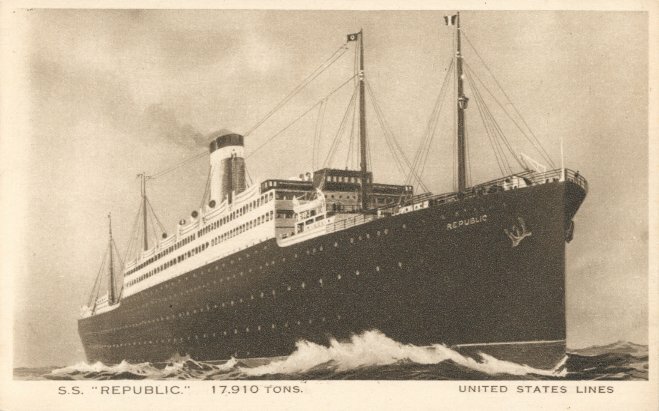 She was scrapped at Baltimore in 1952. Sources: Bonsor's North Atlantic Seaway; Kludas' Great Passenger Ships of the World; Haws' Merchant Fleets in Profile.